The Fox broadcast network wants to follow the move by NBCUniversal in cutting back key advertising time. By 2020, the Fox network has a goal to cut prime-time advertising time to two minutes an hour from around 13 minutes currently, according to media executives. 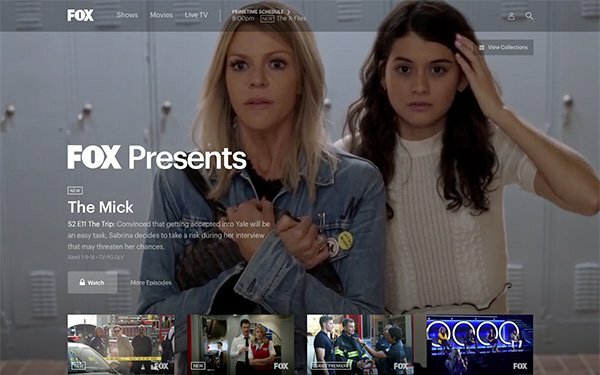 Fox also wants to increase some branded content pods doing prime-time programming. Starting this fall, Fox intends to focus on Sunday prime-time programming -- reducing advertising in its animated shows to just two spots per pod from around four spots per pod. The plan is called "Jazz," according to Bruce Lefkowitz, executive vp of advertising at Fox Networks Group, who spoke with Television News Daily. Lefkowitz says this refers to "Just 'a' and 'z' " (first and last) placements of commercials in a pod, which typically get higher viewership. Lefkowitz says attention should increase for these commercials due to the elimination of advertising clutter. Pricing is expected to rise for those spots. In addition, he said, Fox is starting up Fox Blocks, where marketers can create custom content. Part of this could have Fox advertisers contributing to a production fund for branded content using its own original intellectual property or Fox’s intellectual property. Some of this was revealed during an private advertising event hosted in Los Angeles by Fox last Wednesday. It was there that Joe Marchese, president of advertising revenue for Fox Networks Group, told media agency, marketing and some competing TV network executives -- including Linda Yaccarino of NBCUniversal and Charlie Collier of AMC Networks -- that Fox intends to whittle down its prime-time advertising to two minutes per hour in two years. A Fox representative would not comment about any changes in Fox prime-time advertising. Also last week, just before the start of the Fox meeting with media executives, NBCUniversal announced plans to lower prime-time ad time by 10% across its networks -- affecting some 50 shows -- and to decrease the overall number of ads on its networks by 20%. 1 comment about "Fox To Dramatically Cut Prime-Time Ads, Increase Brand Content". Ed Papazian from Media Dynamics Inc, March 7, 2018 at 11:04 a.m.
Wayne, it's hard to believe that Fox intends this as an across-the-board move as opposed to a more selective approach with such positions offered to preferential buyers in special short "premium" breaks. If all of the Fox breaks were reduced to this two minute length, CPMs would have to increase by 600% or more just to break even in ad revenue---and even though ad recall and message registration will be improved considerably in the short breaks, there's no way that the average commercial, which now scores about 15-20% in verified brand message aided recall in cluttered breaks, will go to 90-120% in such measures in the short breaks. It just ain't possible.